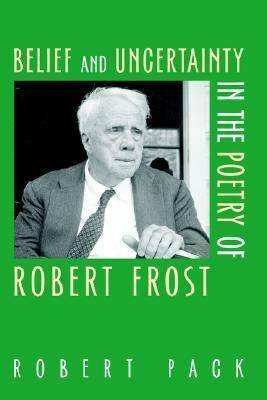 Robert Pack's lifelong delight in Robert Frost's intricate, beautiful, and profound poetry shines through in the essays in this book. He confronts such broad themes as mourning, inheritance, nature, and the imagination, bringing to bear historical, psychological, Darwinian, and close-textual-reading interpretive approaches. Chapter one sets Frost's work in the tradition of nature writing, from the Book of Genesis through modern American ecological works. Chapter two examines the profound influences of the Book of Job, Darwin, and evolutionary theory on Frost's thinking. There follow chapters that structurally and philosophically compare Wordsworth's "Michael" to Frost's "Wild Grapes," focusing on the themes of inheritance, grieving, and the potency of the imagination. The reader encounters Frost as teacher and preacher, Frost's idea of how beliefs are affirmed, the simultaneous representation of adult memory and immediate childhood sensation, and the underlying duality of place and nothingness, which forms the existential background for his "stay against confusion"-the consoling purpose of Frost's poetic art.